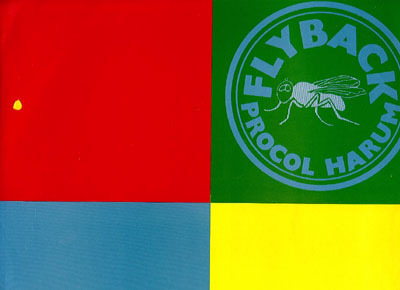 This "new" version of The Flyback 'Best Of' compilation is the original version released on the Fly Records label in March 1971. This compilation included the famous true stereo versions of Homburg, Conquistador and She Wandered Through The Garden Fence. The "old" version of this record is a compilation which was released by Cube Records (former Fly Records) sometime in the late seventies or early eighties. To my knowledge this record has never been released in the Flyback cover. I guess this is simply a case of mixing two records. 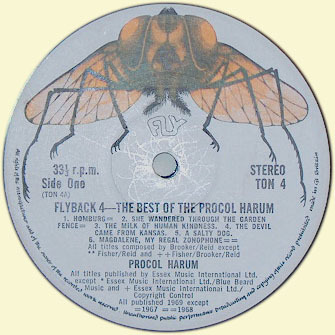 The original Flyback 'Best Of' compilation was also released in Holland as 'The Best Of Procol Harum' (Stateside 5c 052-92455). This is in fact exactly the same record, pressed from the same matrices, probably at the same pressing plant, just re-labeled for the Dutch marked. (The matrix number is TON 4). This record was also re-released in July 1972 on the Music For Pleasure label as 'A Salty Dog' (MFP 5277), once again pressed from the same matrices. The release dates for these records can be found in Yan Friis's comprehensive NME coverage. The two earlier Dutch compilations 'The Best Of Procol Harum' (Stateside 5c 054-24069) and 'Portrait' (Stateside 5c 054-91107) included "fake stereo" versions of the first album tracks. There is no extra tambourine on She Wandered Through the Garden Fence, at least not on my copy. The mono mix of this track has some tambourine overdubbs which is not present on the stereo mix which is probably made straight off the four-track master. 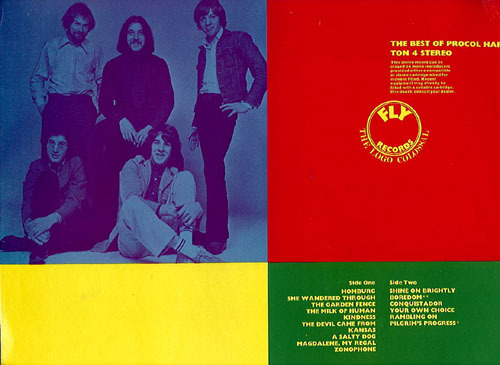 But the version on the first Dutch 'Best Of' compilation is exactly the same as the version on Procol Harum.